John Skewes is a professional illustrator living in Seattle. He began work as a product designer and character artist for Disney Consumer Products before leaving to start his own company, Retrodyne Industries in 2001. His clients include Warner Bros., Hanna-Barbera, Fox, Pixar, and Simon & Schuster. As the creator and illustrator of the award winning Larry Gets Lost(TM) children's book series, John has followed Larry from the southern tip of Texas to tiny Nome, Alaska, and been lost several times himself. He has illustrated over 20 children's books, including the Flintstones, Tom and Jerry, and Alvin and the Chipmunks. Michael Mullin lives in LA, but grew up in New England, where all his sports allegiances remain. He is the author of the TaleSpins (TM) books for young adults: 8: The Previously Untold Story of the Previously Unknown 8th Dwarf, The Plight and Plot of Princess Penny, and the upcoming Jack'd. "The illustrations in Larry Gets Lost in Philadelphia are very cute and vibrant. My little guy had fun trying to find Larry on all of the pages as the dog ends up in between all the landmarks and attractions. One of the things that I enjoyed about Larry Gets Lost in Philadelphia was the extra information about each landmark that explains the history behind each place. It wasn't an overly lengthly explanation; it included just enough information to explain the importance, which is perfect for children. 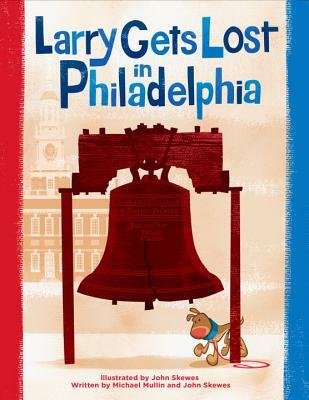 It would be a great read to share before you actually visit the landmarks with your child..."
"Larry Gets Lost in Philadelphia is a book that is perfect for introducing a young child to the beauty, and of course, the history of the city of brotherly love in a fun, kid-friendly way. Children go on an adventure through Philadelphia with Larry, a cute dog who manages to end up lost in a strange city! As he tries to find his way back to his owner Pete, children will enjoy seeing site after site through his eyes. What makes this book a great learning experience is that it presents historical facts to children in an inviting way, and the vivid and colorful illustrations really make the learning experience come alive!" "You can read the story of Larry's adventures to find Pete straight through or you can stay on each page and read a bit more detail about each of the Philly attractions. This is such a great way to give kids who are a little older (or willing to sit still) some additional background and historical information about our landmarks and sights. I also really love how many great sights and real Philly attractions are mentioned in the book like the Philadelphia Zoo, the art Museum steps, Boathouse Row, and even the Market Frankford Line. 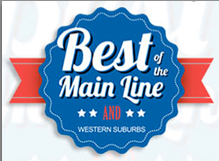 It's a cute little book with lots of great local information about our wonderful city!" "This is just the cutest book and part of a series. I love this book for many reasons. One is that there are many ways to read it. You can read just the basic kiddy text or story line for more basic readers. For older kids you can go into details about the different spots in Philadelphia-the content is more advanced. Locals will love it because we love our city and all that it has to offer. But consider getting it as a gift for out-of-towners too, so that they can get excited about visiting Philadelphia." "This is a great book for many reasons, it's written in such a way to make children interested in seeing things they might not normally be interested in visiting. And when Larry managed to hit an important place along the way the book had a nice little summary explaining the significance to the place Larry was visiting and there's where this book really did a great job in my opinion, they made learning fun. ...Nothing beats a good book that stirs the reader into wanting to learn more and Larry wants us to learn more." "Larry Gets Lost in Philadelphia is such a cute book for kids – whether they’re local to Philly or not. While it will be fun for local kids to recognize and learn more about the places they’ve visited themselves, Larry also ends up being a pretty informative tour guide for kids who are not from Philly." "The Larry Gets Lost books are great for a variety of ages. Younger kids will enjoy the basics as well as the pictures and for older kids (and adults) there are extra details and information about the spots Larry and Pete find themselves." "Fun and educational is a tricky combination for children’s books—but it’s always great when it can successfully be achieved. The Larry Gets Lost book series is just that. 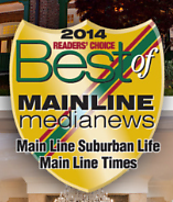 It is a fun story housed in a citywide tour of the US. We started in our hometown of Philadelphia and it did not disappoint!"